The above quote is from an article that was published in response to typhoon Yolanda (the international name was Haiyan), which devastated the Philippine city of Tacloban in 2013. The article inspired Joi Barrios-Leblanc to write a poem called Sumpa ng Kawayan (Curse of the Bamboo), and that in turn inspired composer Josefino Chino Toledo to write Agos (Flow). Which brings us to Juilliard. In October, the New Juilliard Ensemble gave Agos, for chamber ensemble and narrator, its world premiere. I was the narrator. 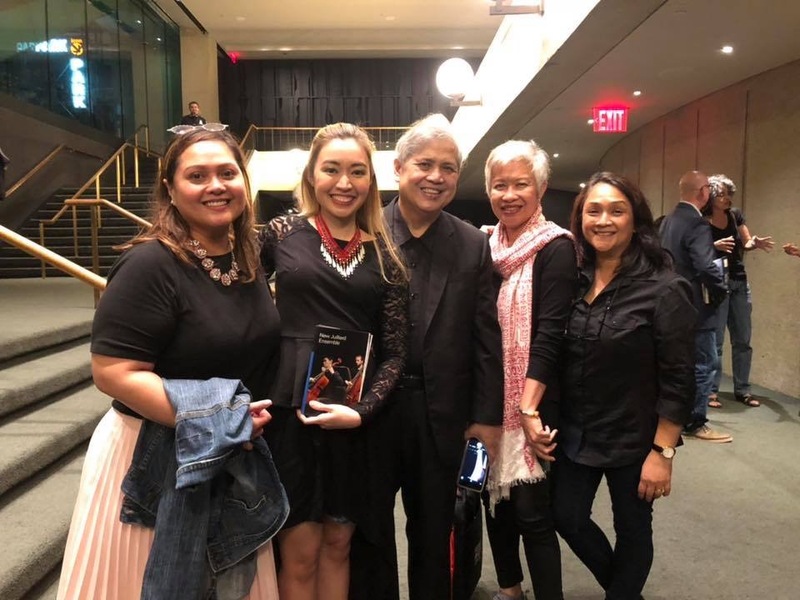 This was the first time I had performed anything in my native language in front of the Juilliard community, but despite some nervousness when Joel Sachs, the founder of NJE, first emailed me about the project, I immediately said yes. 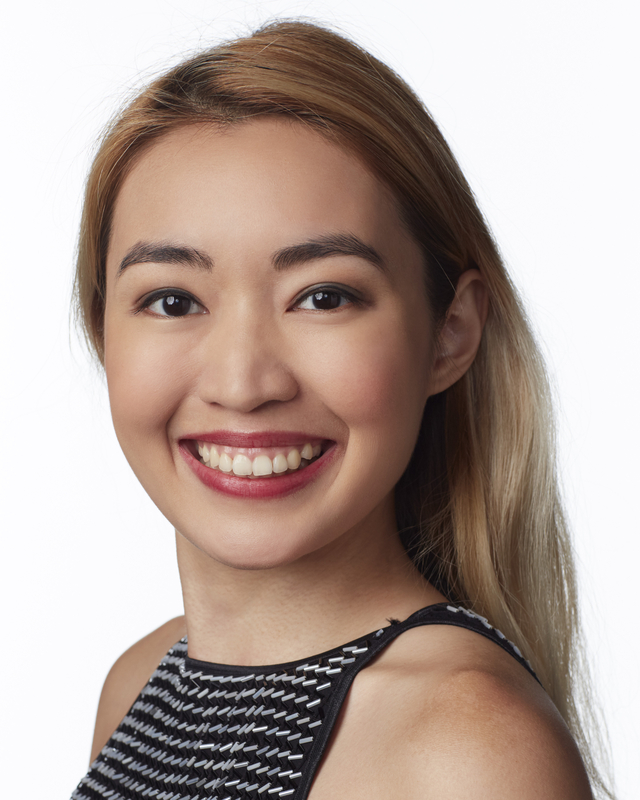 I came to Juilliard because I was interested in expanding my skill sets to accommodate a wider range of material, and yet it was also important for me to reconnect with my roots from time to time. Toledo had recommended me as I had worked with him in the Philippines on musical theater and opera projects. But Agos had a complexity unlike any other musical piece I’ve ever worked on before. Toledo knows I don’t read music, and yet they still entrusted this piece to me. I began working with Joel Sachs in the summer because I would only get to rehearse with the orchestra a few times before the show. I had to be extremely prepared for that phase in the process, which included a crash course in rhythmic notation. When things got too complicated—there were areas that were rhythmic and certain syllables had to be in conjunction to the music—I simply recorded him during rehearsal to get the timing right. I spoke to Toledo about Agos when I visited the Philippines last summer. If you look at the score, you’ll see that he wrote specific instructions for the narrator at several points. As it turns out, there are different “characters” in the text that the narrator needs to embody, as if each section depicts a different phase in the typhoon. My speaking voice, it turns out, was another “instrument” in the piece. As Sachs and I continued working, the subject of amplification came up. The piece was to be performed at the Peter Jay Sharp Theater, with NJE right behind me, but thinking about how rare it is for a drama student to perform in the Sharp with a chamber ensemble, I decided that I didn’t want amplification for the event. I would use all my vocal training and see what it amounted to! When it was time for me to work with the orchestra in Room 543, I warmed up my voice for at least 30 minutes beforehand to make sure I rose with the crescendos, and on the day of the show, I must have warmed up for at least an hour! I asked Phil Guiterrez, the associate production manager, to watch the dress rehearsal from the audience to check if I could be heard with the music—and he said I could indeed be heard! In the times when I was shouting as the music rose, it felt to him as if I was trying to stay afloat in the midst of the floods. It was as if we were taking the audience on a journey through the typhoon. Receiving his feedback was a validation that we were fulfilling the intentions of the piece. Regina (second from left) with composer Josefino Chino Toledo (center), the composer of Agos; ​De Vera narrated the piece's world premiere. When the performance concluded, Toledo told me that a Filipino-Canadian whose father was from Tacloban approached him teary-eyed and said that it reminded him of what happened to his family. It was assuring to see how music that seems both larger than life and abstract can embody a tangible event. In Agos, there are repeated passages inspired by the Filipino subli—a religious folk dance from southwestern Luzon. This dance form is also a ritual of chanting and prayer. At the heart of Agos is a prayer. At the heart of what compelled me to do the piece was my own prayer for my country, a country that I feel I can no longer help at times. There seems to be no hope to climb out from the hole that is our corrupt government. A hole that feels larger than us most of the time. It is a plea for retribution from decades of corruption and internalized oppression, hoping that perhaps through this form, God will hear our prayers.